Sookie has a murder investigation on her hands. A young girl has died at a vampire party - and it looks as though her lover, Eric, might be responsible. Eric swears he didn't do it, the police don't believe him, and even Sookie isn't so sure. Nor is she inclined to take his word for it, not having caught him enjoying the victim's blood minutes before she was killed. But something strange is going on. Why had Sookie been asked to come to the fateful party a few minutes early - just to catch Eric in the act? And why had the victim spiked her blood before approaching Eric? Was it simply because she wanted to be irresistible, or was it something more sinister? Sookie will have to find out . . . but it's the worst moment to investigate, as her Fae family are having troubles of their own and Sookie is, inevitably, drawn in. And there is one last complication. The cluviel dor her grandmother left her. It will grant her one wish, which could fulfil Sookie's heart's desire. The only problem is, she still doesn't know what - or who - her heart truly desires . . . When her great-grandfather, Niall, pays her a visit and starts asking her questions about why Claude and Dermot are living with her, she starts to wonder what the hell is going on. As he continues to dodge her question of why he's visiting, Sookie finds herself in the middle of a heated fae discussion that ends with Niall taking Claude back to Faery with him, to try and figure out who cursed Dermot. As if that's not enough, she also has to attend a vampire party to answer a few questions the King of Nevada, Arkansas, and Louisiana has about what happened to Victor. She doesn't want to be there, but knows she needs to. And things get worse when she finds Eric drinking from another woman. A strange woman who then ends up dead in the front yard, and the focus of a human police investigation. All of a sudden, she doesn't know who to trust--there were plenty of people who had a reason to want the girl dead, and each had the time to do it. Still, there are a lot of other issues she has to focus on. Like her lack of relationship time with Eric and how he keeps leaving her out of a very important proposal he's facing, Bill continuously hanging around to remind her he still loves her, a serious Were situation she gets herself caught up in, and the cluviel dor. The item so many desire, but Sookie's determined to keep safe. She knows it holds great power, and is strong enough to attract the Fae her way... So how will she use it? And what is her true heart's desire? Will using the cluviel dor make her realise what/who is really important to her? I loved how it all worked out. 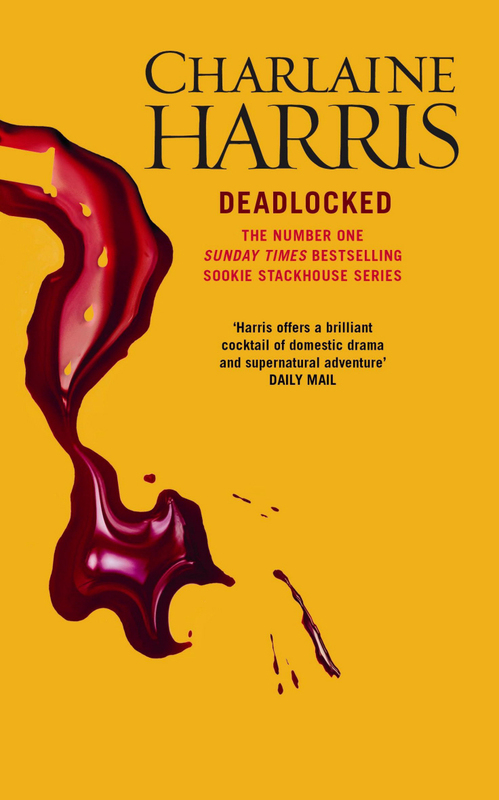 Deadlocked is the second last book in Sookie's series, and I absolutely loved every minute of it! It's once again filled with unseen danger, multiple threats, a complicated love life that seems to get more entangled with every book, good and lasting friendships, as well as one of the deepest betrayals she's faced. I felt so bad for her, but have to admit that I loved the way the book ended. Now, I can't wait to read the last book. Of course, it'll also be very sad when I finish it. This series is one of my favourites!